Sign up for Broadjam today to follow BLUNKEN, and be notified when they upload new stuff or update their news! 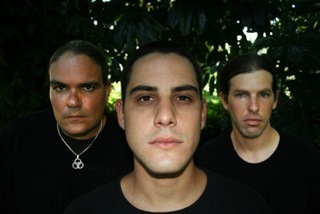 Blunken is a Miami-based progressive hard rock group featuring Frank Matyok on guitar and vocals, Rick Diaz on drums, and Nate Greenberg on bass. The group formed in early 2009 and has just finished tracking their newest full-length record. To get more of the band, check out www.blunken.com. BLUNKEN has finished tracking their newest full-length record. TBR soon. You can find out more about the band at www.blunken.com.